The new Nuvo Concept Series of tanks now brings together all in one functionality with modern styling. The quality ultra-clear glass and high gloss pedestal lets you create a beautiful nano aquarium that will attract everyone's eyes. Innovative Marine has always been at the forefront of innovation with their Auqa Gadgets, and Nuvo series of aquariums, the new Concept series is no different. Bring life into any space in your house with the Nuvo Concept Abyss Peninsula 20 Gallon Aquarium. The simple All-in-One style of the Nuvo tanks makes them perfect for the beginner or expert reefer. 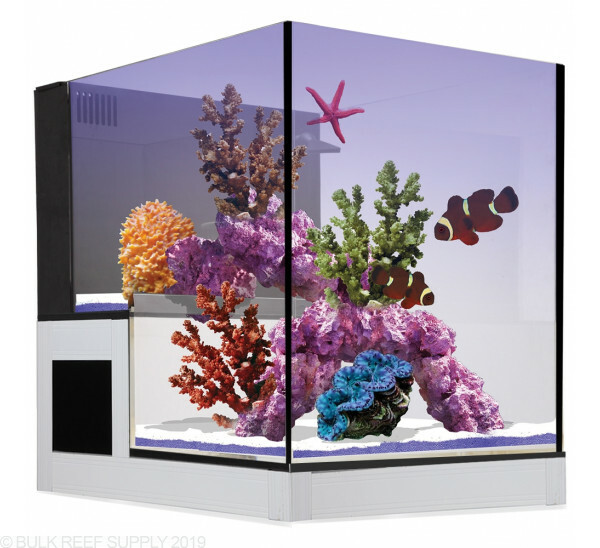 The drop-off style that used to only be found on super expensive high-end tanks is now affordable letting you create a custom aquascape that accents your fish and corals while creating a deeper look. The tank rests on the included high gloss pedestal and also includes a rubber leveling mat. 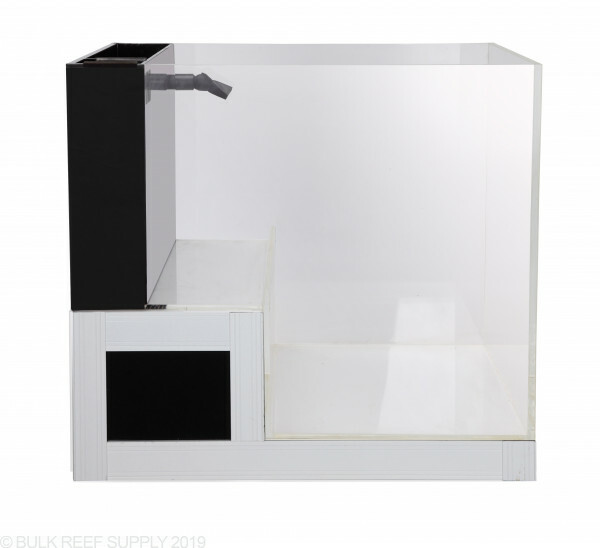 The built-in overflow system skims the surface of the aquarium while keeping the filtration equipment hidden behind the overflow allowing for a sleek and clean looking eco-system. 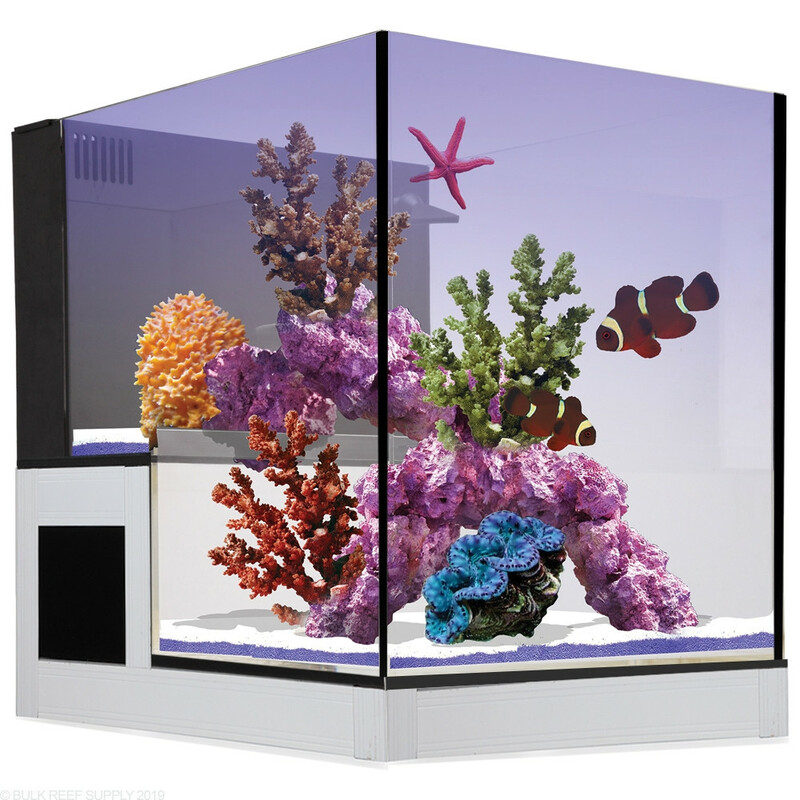 The Abyss Drop Off Panorama aquarium is an All in One tank letting you keep everything in a very compact footprint. The Abyss tanks create a perfect accent to any room by adding life and sleek styling. The peninsula design allows you to aquascape the tank, in a way that you cannot normally with traditional non-peninsula style aquariums giving it more depth perception.